Registration open to all with no prerequisites. Physicians and Staff Welcome. FEE: $2800 This fee includes the course and all materials, including the NCLC Certification exam, includes up to 3 day hotel stay, and lunches. DISCOUNTS: $100 discount for registration and prepayment 30 days or more in advance. 15% discount off each, for 2 or more registrations made together. COURSE DESCRIPTION: This 3 day program is designed to start from the beginning and cover all of the principles and concepts involved with cosmetic laser procedures. In this course we do not deal with medical laser procedures for pathological skin conditions, but emphasize the common aesthetic procedures and devices used for things such as laser hair removal, skin rejuvenation, pigmented and vascular lesion removal, laser tattoo removal, skin resurfacing and related aesthetic procedures. We DO NOT cover non-laser aesthetic procedures such as Botox or Fillers, RF devices, nor other non-laser cosmetic procedures. Our emphasis in this course is on all of the various lasers and IPL’s used for these procedures. Although the emphasis is on these cosmetic laser procedures, we also discuss the ANSI Laser Safety Standards and what is required to setup your Laser Safety Program. It includes a full day of hands-on orientation with the typical types of lasers used for these procedures. We practice on inanimate objects, volunteers, and each other. This is enough to break the ice and get you started with being familiar with devices, but you’ll need additional clinical experience after the course. We’ll discuss easy ways to do this. We are a non-profit organization that is not affiliated with any one laser company so you get a very good overview of the types of devices used. You should attend this course prior to purchasing equipment. If needed, we can followup with inhouse training at your own facility doing clinical procedures with your equipment. This program also includes a 45 minute session on Aesthetic Business Aspects. For our course in Indianapolis IN, we will use the laser equipment in Indy Laser’s well equipped cosmetic laser clinic. We are not obligated to any one manufacturer. As a result you’ll probably get a better range of devices to work on than if you attended a program supported by a manufacturer (although manufacturers provide excellent training that is focused just on their devices). We will have available various representative types of Laser devices. Side by side comparisons are useful to help “break the ice” of the mystery and show the relevant differences. · Exhibit an understanding of basic laser biophysics and laser-tissue interactions as it relates to dermatological laser and light source procedures. · Discuss laser safety precautions for patient and personnel to include eye safety and regulatory safety requirements, including administrative and procedural controls. · Describe patient selection, safety considerations, anesthetic options, management of complications, post-operative care and procedural techniques for each procedure discussed, to include laser hair removal, pigmented and vascular lesion removal, treatment of Acne, Skin Rejuvenation and Skin Resurfacing. · Describe four different types of laser/tissue interactions and explain the importance of thermal confinement to aesthetic outcome. · Describe the types of hazards which laser presents to personnel and patients. · Explain the safety precautions and procedures recommended by ANSI during laser medical procedures to maintain a safe working environment. COURSE MATERIALS: Will include PDF copies of all of the slide presentations, copy of the Aesthetic Laser Procedures Course manual, sample laser safety policies and procedures, a comprehensive listing of laser manufacturers and suppliers (we take no advertising money), and some sample treatment protocols. COURSE OUTLINE: 3 Days, 8-5 pm, including the optional NCLC Laser Certification exams the last day. ACCREDITATION: This program is approved by the California Board of Registered Nurses (CBRN) for 26.7 contact hours (CEU’s). We have not applied for Category I CME approval because we use examples of many specific types of laser devices identifiable by brand of laser (though we are not affiliated with any manufacturer). This device specific illustration in our training precludes Category I approvals, but the program may be submitted by the individual physician for Category II CME approval. We believe that it is more imporant to see specifics of equipment and how it is used rather than the Category I credit. PRECEPTORSHIPS: Indy Laser will be offering a separate supervised clinical preceptorship immediately following the seminar for those that need such additional clinical training. 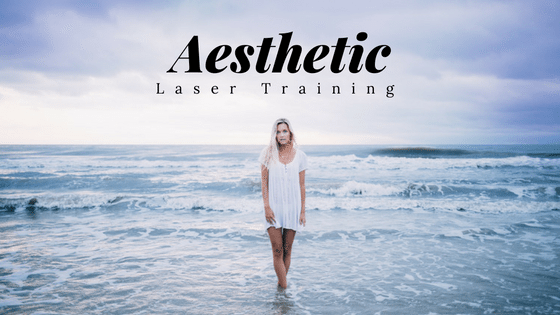 This is offered exclusively to those who have first attended the 3 day seminar, or have completed the online Aesthetic Laser & Light Based Procedures course. For those wishing more hands-on clinical instruction, a separate 1-3 day preceptorship is offered immediately after this course by Indy Laser. It’s $1500 for one day which may be sufficient, or if you want 1 or 2 more days it’s an additional $1000 per day. Payment will be directly to Indy Laser for this additional clinical preceptorship. Click here to request specific dates!